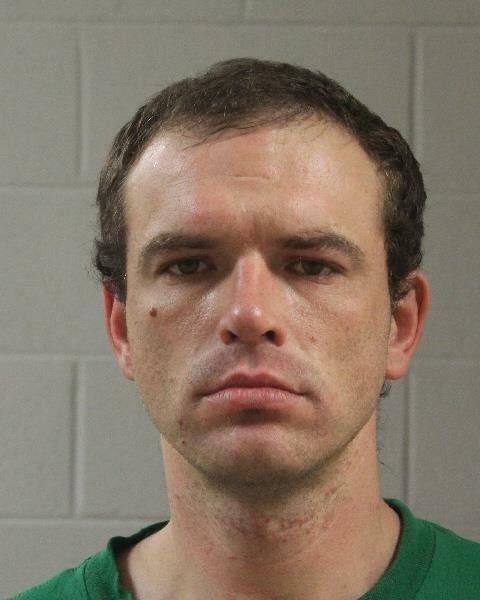 ST. GEORGE — A Hurricane man was taken into police custody Thursday after officers discovered he had lied about his name, and was in possession of methamphetamine and marijuana. At approximately 11:45 p.m., St. George Police Officer Doug Iverson conducted a traffic stop on a white passenger car after running the license plates and finding that the car did not have insurance, Iverson wrote in a probable cause statement supporting the arrest. Iverson spoke with the driver, who said his name was Kristopher Hassell, and also provided a birth date. However, after running the man’s name and information through the state database, the officer made an interesting discovery. According to the statement, a police K-9 unit arrived on scene and indicated the presence of narcotics on the vehicle. Iverson searched the vehicle, and located a razor blade inside a black plastic case with a blackish residue on the blade. The case with the razorblade and residue was in the driver’s hands and lap when the officer first approached the vehicle, the statement said. Iverson conducted a test on the substance and the result showed positive for methamphetamine. When Iverson informed the driver of the results, the man identified himself as Kasey Hassell, the statement said. He said he originally gave officers a different name and date of birth because he doesn’t have a driver’s license. Hassell then gave officers a syringe from his pocket and said he had methamphetamine in his coin pocket. Officers also located an additional bag of marijuana in his left-hand pocket, the statement said. Hassell said he had nothing else on him and did not want to hide anything. Hassell was placed into a patrol vehicle and transported and booked into the Washington County Purgatory Correctional Facility. He was charged with one third-degree felony for possession of methamphetamine, one class A misdemeanor for providing false information to a police officer, two class B misdemeanors for possession of marijuana and drug paraphernalia, and one class C misdemeanor for driving with privileges suspended or revoked. Hassell was released from custody after posting bail. His initial court appearance is scheduled for June 4. This is bull…. * they stretched the truth and only gave half the story I would know I was friends with the guy and am friends with the passenger who was with him witch they forgot to mention and they told me the whole story!